Well, I have now watched the movies in what has been termed as Phase II, though it seems that this will be the shortest phase in the Marvel Cinematic Universe (which Wikipedia suggests will end with Avengers: Infinity Wars Parts 1 and 2). Another thing that I noticed was that some suggest that this phase ends with Avengers: Age of Ultron, while another ends with Antman. Okay, while I have recently watched Antman, Captain America: Civil War, and Dr Strange, I was going include them just so the phase three post doesn't blow out beyond all proportions, but it has been a while since I have seen those movies so I might leave it for when I give then a refresher (and anyway there is nothing stopping my from writing another post later on in the year). Anyway, Phase Two seems to bring in the plot of the Infinity Stones. Okay, there were two infinity stones appearing in Phase 1, however it isn't until the end of Phase 2 that we begin to learn more about them. I have provided a link to the Marvel Cinematic Wiki entry above, but before I look at the movies individually, I'll provide a list of the infinity stones that we currently know about, and where I believe they are located. Space Stone: This was originally in the tesseract, and is currently located in Asagard. It is blue and it's power is to allow the user to open a gate to anywhere in the universe. However, the stone was used by Hydra during World War II to create some incredibly powerful weapons, as we saw in Captain America. Mind Stone: This was originally the stone in Loki's staff in the first Avengers movie, but is now in Vision's forehead. 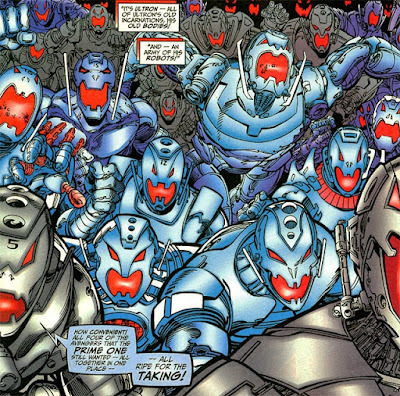 The stone allows the user to reprogram other's minds, and is considered a very powerful computer (which resulted in the creation of Ultron). After Loki was defeated in the original Avengers movie, it passed into the possession of SHIELD, and then fell into the hands of Hydra. Aether: This is the red infinity stone, and first appears in Thor: The Dark World. At first it appears as just another powerful artifact, until it is handed to the Collector and is informed that 'it is not good to keep two infinity stones in close proximity'. However, it is not revealed as an infinity stone, albeit in liquid form, until the Age of Ultron. The last known location was in the Collector's museum, but the events in Guardian's of the Galaxy (where the Collector's museum was blown up), may have resulted in the Aether disappearing. This stone possesses the user and gives them incredible powers (usually defensive). Power Stone: The purple infinity stone is basically a power source that has the capabilities of obliterating an entire planet. It is currently in the possession of Nova Corps, having been given to them by Peter Quinn at the end of Guardians of the Galaxy. The power stone was responsible for destroying the Collector's museum. 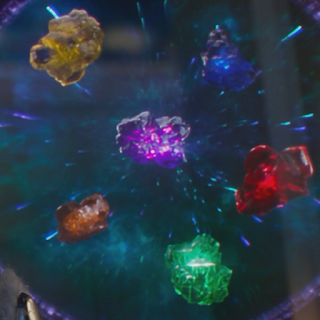 Anyway, that is all we know about the Infinity Stones so far, and there are another two that have yet to be revealed. The infinity stones are intended to go into the infinity gauntlet, which we see Thanos take at the end of Age of Ultron, and when they are in the gauntlet, it gives the wielder the power to basically destroy the universe. This is the first movie after The Avengers, and we return to Tony Stark's world where he is suffering from Post-Traumatic Stress disorder after sending a nuclear missile into a wormhole and destroying the Chitari mothership. It seems that Stark has matured a lot since we first met him, yet his still has a few issues, particularly since he invites a terrorist to visit him by advertising his address on national media. Once again, we see Pepper Potts (and it is confirmed she is in a relationship with Stark) is running Stark Industries while Tony Stark is working on his Iron Man project. However it appears that Stark is starting to get quite bored with the whole superhero project and is beginning to look for a way out. Anyway, the United States is being terrorised by The Mandarin, who in the original comics is the head of the Ten Rings (and whenever he appears on television we see his broadcast opening with the symbol of the Ten Rings), however the Ten Rings aren't mentioned in this move. The story begins back in the year 1999, just before New Years Eve, where Stark is at a party in Bern and takes a woman back to his room. Actually, this isn't any woman because she is a geneticist who is working on a regenerative formula. He is approached by another scientist that wants Stark to fund his research, however Stark rejects him, and proceeds to forget about the whole encounter. As Tony says at the beginning of the film, this is about how his past comes back to haunt him, and not only does this woman from the past return, but so does the scientist. Back in 1999 he was a cripple, but he appears as a rather fit, and strong, individual - also quite attractive. Once again he is rejected, so he disappears into the night, but he hasn't vanished. The thing is that The Mandarin is setting off bombs around the United States, and after Happy, one of Stark's lackies, is seriously injured in an attack, Stark takes it personally. 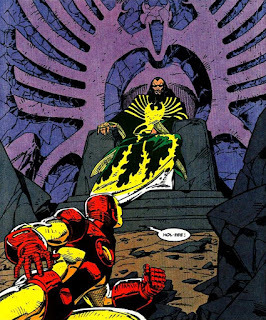 However, after challenging the Mandarin to a fight on national television, his house in Malibu is attacked and Stark is left for dead. This is actually quite useful because it means that he can now investigate the Mandarin without having too much attention drawn to himself. The main theme of this film is how the past comes back to haunt you, and the Mandarin is actually one of my favourite villains in the series so far. In fact the whole concept of appearance and reality is also a major theme. We are given one impression of who the Mandarin is, however it soon turns out to be a distraction, as the Mandarin is actually somebody completely different. 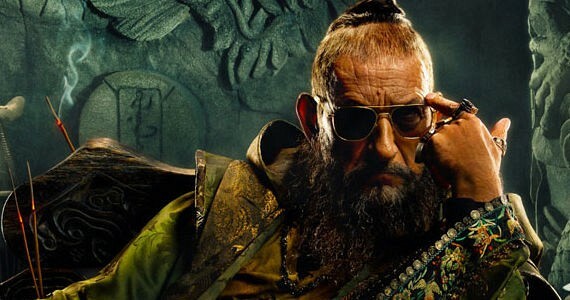 In fact the Mandarin isn't so much a person, but an idea - and the idea is to get back at Tony Stark. There are hints dropped throughout the film as to what is actually going on. For instance with the flashback in Bern we see Happy playing with the plant, and the plant explodes, namely because the regenerative formula is actually very volatile. Soon enough it becomes evident that the explosions aren't actually bombs, but rather the misuse of this formula. However, the catch is that this formula provide opportunities to people who would not have such opportunities afterwards. For instance the wounded soldier and the disabled. What this does is that it creates an opportunity for the Mandarin to leverage people to his own will. Personally, I don't want to say anymore about this film because this is actually, to date, my favourite Iron Man film, and I really don't want to spoil it any more. This is the second stand-alone Thor movie and it is suggested that the reason that they have shifted to the more fantasy element of Asgard and the Viking mythology is so that the viewers don't suffer superhero fatigue. It is all well and good to release two movies from the Marvel Universe every year, however if the films are too similar to each other then people end up becoming bored. Mind you, Thor is a major member of the Avengers, and his own story line moves away from the stereotypical superhero vs supervillain plot line that we seem to get a little too much of these days. Instead, Thor is more in line with a fantasy movie, and in fact a majority of The Dark World takes place off of Earth. Jane Foster (who has an interesting story arc in the comics) is approached by her friend Darcy Lewis who tells her of an anomaly in a warehouse in Central London which appears to be some sort of warp field. Professor Selvig, who played an important role in The Avengers, has landed up in a mental asylum after running around Stonehenge completely naked trying to measure some other anomalies. Anyway, Jane gets caught up in the anomaly and finds a huge block of stone which, when she touches it, released the Aether into her (which as I have mentioned above is one of the infinity stones, except that it is in a fluid form). The Aether is basically a powerful weapon that turns the wielder into a superhero, and it was previously wielded by the Dark Elves, until they were defeated by Odin's father (the Asgardians aren't actually immortal, they are just very long lived, and very powerful). Most of the film is set in Asgard, though Thor does get into trouble when he brings Jane back, namely because humans aren't supposed to come to Asgard (though it appears that the only people allowed in Asgard are the Asgardians, though we must remember that Loki is actually a Frost Giant). We also travel to a place known as the Dark World, which is actually the resting place of the Dark Elves, before returning to Earth (and Greenwich Village) for the grand finale. When I looked at my review of The Dark World on IMDB I originally gave it a four, however having watched it a second time I feel that I undercut it somewhat. Mind you, I'm not going to change my rating namely because it was my first impression, and first impressions count a lot, especially when it comes to watching movies. 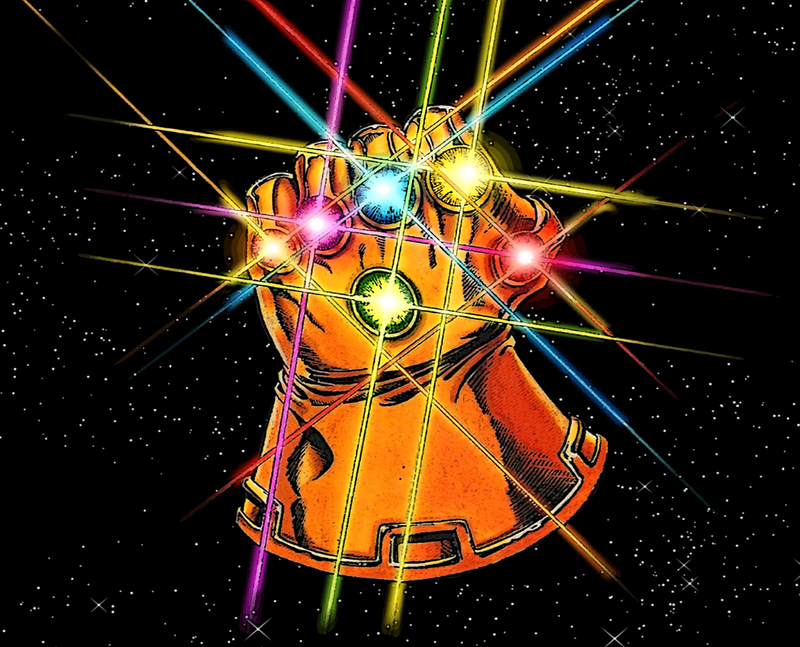 On the other hand it didn't seem to add all that much to the Marvel Universe, but then again it does introduce the red infinity stone, though it is not referred to as such (and is hinted at the end when they hand the Aether to the Collector, whom I have discovered is one of the Masters). The other thing that I found a little difficult to swallow is the whole Thor and Jane relationship - it just seemed a little odd. However we should remember that in the first Thor movie Thor was forced to live as a mortal, and as such he comes to understand what it is like to be a mortal, and also it was when he first met Jane. 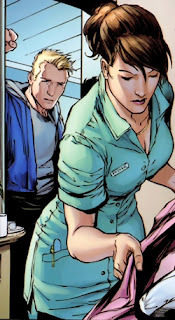 The other thing is that it is not out of line from the comics because Jane is also Thor's romantic interest there. However, for me, it just doesn't seem to work that well and seems to be a little soppy. Another thing I will mention before I move onto Captain America is the idea of the juxtaposition between science and magic. In many ways we see science and magic as completely different entities - science can be explained, magic can't, and in a world that is ruled by science magic is obsolete. In fact, the way we view the world today is that magic simply doesn't exist because science rules. However, the thing with magic is that it is something that can't be explained by science, and as soon as it is explained by science it ceases to be magic - in a way they are two sides of the same coin. The thing with our world is that magic doesn't exist namely because as far as we are concerned everything has an answer, and if we can't explain it then we just apply some more science and, as far as we are concerned, sooner or later the answer will become clear. The Winter Soldier is probably one of my favourite movies and addresses the conflict between freedom and security (though it goes a lot deeper with the belief of the main antagonist that ordinary people are not capable of using their freedom wisely, and as such should be denied that freedom). 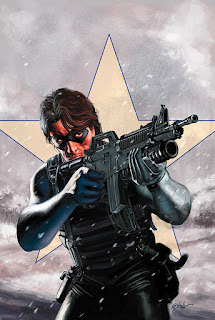 We begin the movie with Cap a fully fledged member of Shield, but still trying to find his way in this new world. In a way he is still very much out of place, especially since many of his friends have been left behind in the past. Still, he is beginning to make some new friends, including Sam Wilson (who is The Falcon) and Natasha Romanov. The film opens with him running around the pond in the Mall, and then being summoned by Shield to deal with some pirates on a ship out a sea. However, while he is doing his Captain America stuff (beating up bad guys), he discovers Romanov down-loading some stuff from the ship's computers. Obviously he is a little upset that he is being left out of the loop, and confronts Nick Fury about this. Then, on his way home, Fury is confronted by some cops, but it turns out that these aren't actually cops (namely because his car's computer tells him as such). Thus a gun fight erupts in the heart of Washington DC. During the gunfight, Fury confronts a mysterious masked soldier, before escaping into the sewers. 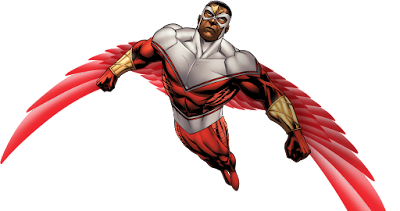 When Cap arrives home he discovers that Fury has made himself home in his apartment, but an assassin turns up kills him. 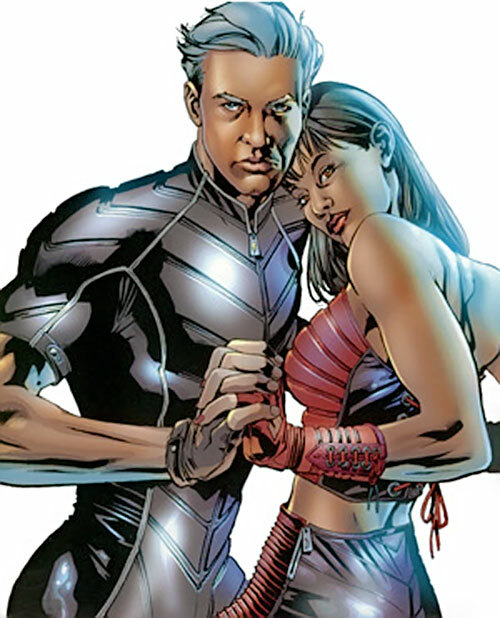 Cap then returns to Shield headquarters to discover that he has become a wanted criminal, so after he and Romanov give the Shield operatives the slip, they learn that the data that she lifted from the computer points them to the army base where Cap originally trained. After making their way to the base they discover that there is more than meets the eye, and the base actually hides not just a Shield base, but a Hydra base inside the Shield base, where one of Cap's old enemies is hibernating. Cap discovers that not is all as it seems. Anyway, as I have mentioned, the major theme of this film is the question of security vs freedom, though Hydra's form of security is to profile everybody in the world and to kill those who don't fit the profile of the subservient pleb. Mind you, this raises the question of whether this is to create a productive world, or a beautiful world. In the sense of Hydra, they seem to view it in the perspective that a free population gets in the way of their plans, and as such the population needs to be subjugated. The problem is, as they discovered in World War II, they won't go without a fight, which is why they have move from forceful subjugation to willing subjugation. The principle is simple, and seems to be playing out in the world today. We scare the population through acts of terrorism, and a scared population will be willing to give up their rights for protection. However, if there is too much peace then the population becomes agitated, so you need to continue to scare them through sporadic attacks. However, by providing security they deny liberty, but a scared population is more concerned with protection than freedom. However, it goes further, because then people are profiled based on whether they will be a threat - no so much a terrorist threat, but a threat to the system, and they need to be put out of the way as well. It is suggestive, though, that Hydra represents the corporatocracy - their version of freedom isn't personal freedom but economic freedom. In fact both terms are treated interchangeably when in reality they are not - economic freedom is basically the freedom of business people to make money without interference by the government. However, the catch is that these businesses will do what they can to prevent anything interfering in their ability to generate a profit, which includes people criticising them even if the criticism is justified (just look at the McLibel case to see this in action - the main website is here). However this also comes to the dichotomy that happens to be SHIELD - while they do have a noble purpose, in reality they have become the enforcement arm of Hydra. This is in many ways reflective of the police, though it is interesting that when Sir Robert Peel first suggested such an organisation he was met with derision and opposition. In a way he was just replacing the army with a, well, different army wearing a different uniform. However the police do provide an important service - they keep the nation safe, and they make sure that people not only obey the laws, but that there is order and peace. This was also the original purpose for Shield, to act as a defense against aggression, however they had been infiltrated, and their original goal (as has been suggested with the police in our world) has been subsumed to protect the interests of those in power. 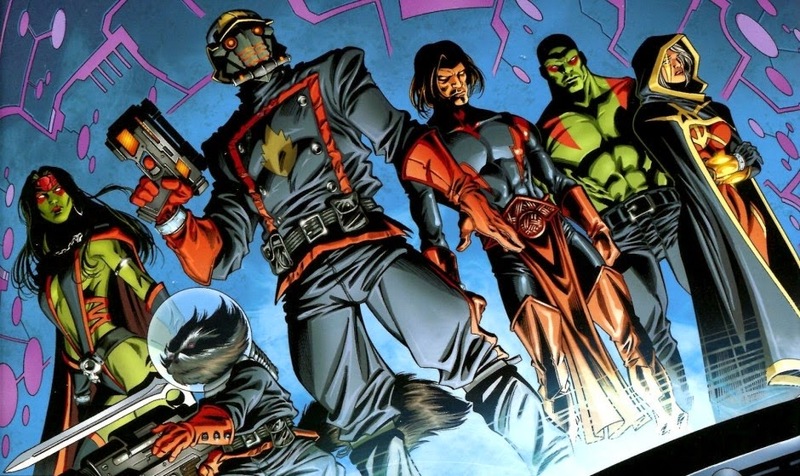 As the creators suggested, they were looking at making the Marvel Cinematic Universe much more than just a bunch of Superhero movies, and they have certainly done that with Guardians of the Galaxy, otherwise known as the Galactic Avengers. Basically the Guardians are a group of rouges who have given themselves the name, and have accidentally been caught up with an incident regarding Thanos and the Infinity Stones. Actually since the movie is set away from Earth, it feels much closer to the action than it does when we are on Earth, namely because Thanos seems to be sitting in the background for most of the time. Anyway, the movie focuses on Peter Quinn, who is kidnapped by aliens after he runs out of the hospital after the death of his mother. The movie the jumps to the present where Peter is in a derelict ship basically trying to steal an orb when his old compatriots appear to take it from him. However Peter escapes and heads off to the planet Xandar, the capital of the Nova Empire. Ronan, the villain of the piece, sends an assassin, Gamora, to get the orb, and when she encounters Quinn a fight ensures, dragging a cybernetic raccoon and a treeman into it. The fight results in everybody's arrest and sentence to imprisonment in the Kyln, a prison Asteroid. This is where Drax comes in because he learns that Gamora is the (adopted) daughter of Thanos, the entity who destroyed his family, and vows to kill her. Quinn intervenes. Anyway, to cut a long story short, they escape, discover an infinity stone in the middle of the orb, blow up a laboratory, and then end up having a massive space battle above Nova Prime, eventually defeating Ronan and recovering the infinity stone. The interesting thing with this film is that while it is subtle, there is a suggestion that Peter isn't actually human. Mind you, I didn't pick it up until I read one of the comics to discover that the reason he calls himself Starlord is not because he has tickets on himself, but because his father is actually a rather powerful galactic entity. However, in the film all that is said of him was that his father is an angel and will return to Earth one day, everything else is a mystery. However, it is possible that the movies will move in a different direction than the comics, even though the comics have been rebooted to fall further in line with the films. In this film the infinity stone is a major plot device, however in Thor: The Dark World, the Aether Stone was left with the collector, whose lab was blown up in this film when The Collector attempted to experiment on this infinity stone. As such what happened to the red infinity stone is left somewhat up in the air, though in the end credits we do have the Collector sitting down having a chat with Howard the Duck, though I have been told that unfortunately this isn't going to be an opening to a Howard the Duck movie. The other thing with this film is that Thanos is playing a much greater role. In the previous films he is basically behind the scenes (even though he had met with Loki), however he is starting to come out of the shadows now. Here it is clear that the antagonist, Ronan, is taking his orders directly from Thanos, and also one of the heroes (or should I say anti-heroes because that is what the Galactic Avengers actually are), Gamora, happens to be his daughter. Still, there are a few mysteries, such as who Peter Quinn's father is, but hopefully that will be revealed in the sequel. Well, this is basically where the infinity stone plot line really begins, though it had been building up to this point for a while. As we know from Winter Soldier, SHIELD had been infiltrated by Hydra, and basically they had managed to get hold of Loki's Sceptre, which contained one of the infinity stones. We also have the two characters, Quicksilver and the Scarlet Witch, who were introduced at the end of Winter Soldier, coming into play in this film. Anyway, Age of Ultron opens with the Avengers storming the Hydra base to get the sceptre back, in which they are successful. However, back at the headquarters, Stark and Banner, the scientists of the group, decide to experiment on the infinity stone to see if they can harness its power, and accidentally create Ultron, an artificial intelligence that ends up escaping and suddenly wrecking havoc across the world. As such, the Avengers have to attempt to get this creature under control, despite the fact that he has access to the internet which basically means anything and everything is at his disposal. What makes it even more dangerous is that Stark's computer, JARVIS, was the computer that gave birth of Ultron. One of the ideas that comes out in this film is how humanity seems to have this ability to create things that brings us to the edge of destruction. Actually, this has really only become more and more relevant in these days and ages, though interestingly enough the black plague entered Europe through the use of biological warfare out on the Russian Steppes. However, our modern scientific world has created things that are impossible to get rid off, and it isn't just nuclear power, but the fact that governments and other organisations can collect much, much more information on us than ever before. The other thing is that we can be controlled much more easily, with the use of mass media, though computer technology is starting to change that in the way that the internet has basically made everybody a publisher. The other thing is that we begin to see the possibility for bad things to happen to the Avengers - the old adage of great power brings great responsibility really comes into play in this film. Here we have them causing huge amounts of destruction in Africa, South Korea, and the Balkans, and it is clear that the world isn't going to sit back and let them do this. More so, since Stark and Banner were responsible for the release of Ultron into the world, then there is likely to be much more criticism of the actions on the Avengers as there was in the pass. Of course, this whole attempting to control the Avengers has been simmering throughout the series, but it is clear that after the events in this film, something is going to have to be done. Shakesperian Connundrums - or are They?